God knows - God knows even less ! It might be difficult to believe, but usually in Alsace great vineyards develop noble rot quite late, and the first grapes that catch the botrytis are the ripest ones. 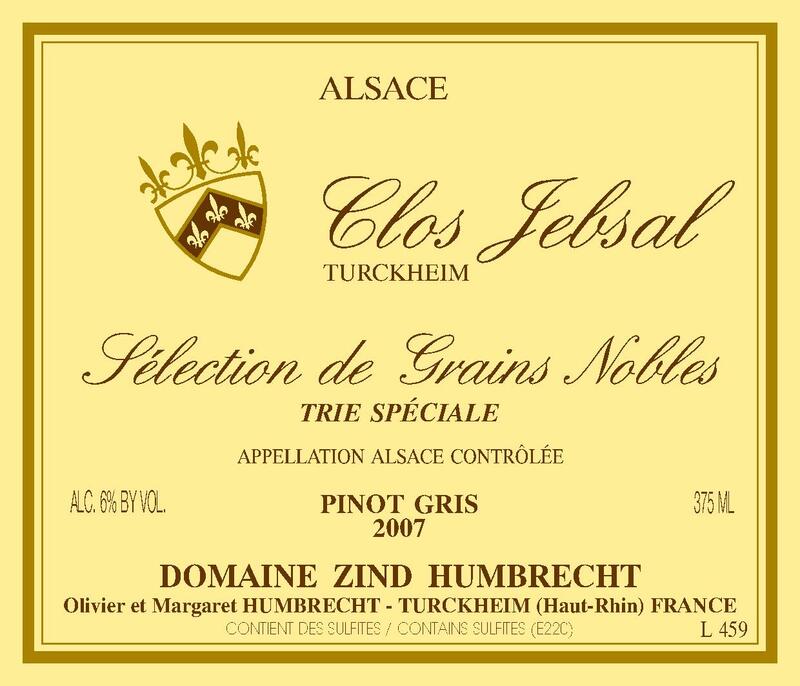 This ‘Trie Spéciale’ was the first selection we did on the Clos Jebsal vineyard in 2007 and therefore by far the richest. When a SGN is harvested above 30% potential alcohol (or 200°Oechslés) we call it ‘Trie Spéciale’ or ‘Special Selection’ because the style of wines changes completely. The level of sugar is so high that yeasts cannot survive too long and fermentations can last for years even if the finished alcohol is extremely low (under 6%). These wines are bottled only three to four years after the harvest, because it takes a long time for those wines to clarify. It is only possible to make these wines when the quality of the botrytis is at its best and when the initial yield is very small. Of course, such richness makes only sense in good vineyards, capable to give a serious structure and complexity to the wines. Does it make sense to produce such wines? Certainly not! They are ageless, will keep forever, and whoever will taste them one day will also taste a part of history. 2/2009: the fermentation stopped just before Christmas 2008, so actually quite quick! The wine is now racked and will be bottled only in a few years. This wine already exhibit wonderful honey, waxy flavours. The palate has a racy structure, bracing acidity and of course is very sweet. This wine still needs more ‘elevage’… but already shows amazing character.